Officer Betty Shelby says she did not hear anything prior to or during the shooting. 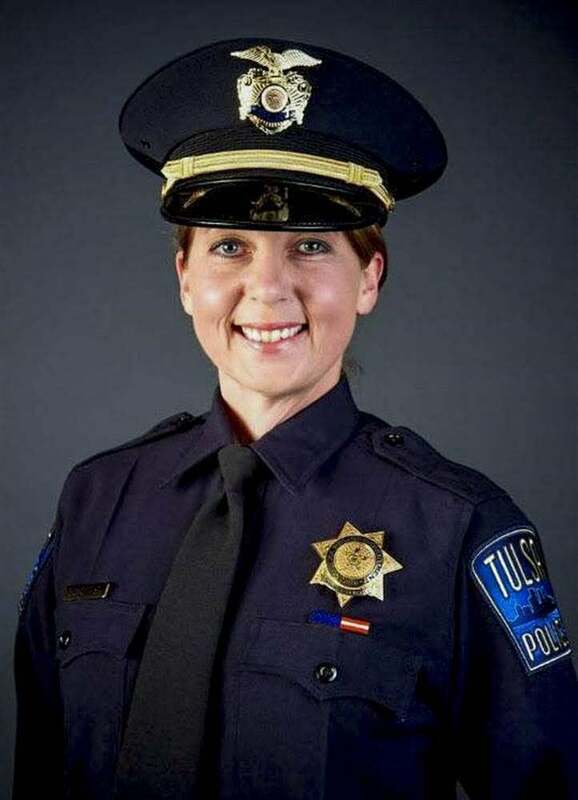 Officer Betty Shelby, the Tulsa police officer who shot and killed unarmed Terence Crutcher, has pled not guilty to first-degree manslaughter. Her attorney, Scott Wood, claims that his client was temporarily deaf before and during the shooting. Wood claims that Shelby was so hyper-focused the day of the shooting that she temporarily lost her hearing. “She didn’t hear the gunshot, didn’t hear the sirens coming up behind her just prior to the shot,” he said Thursday. Wood went on to add that the condition, often called auditory exclusion, can happen in high stress situations. Shelby, who has been on the force for five years and has a history of domestic violence, faces four years to life in prison if convicted. Shelby claims she feared for her life during the shooting, but video shows that Crutcher had his hands in the air when he was killed. Her preliminary hearing is set for November 29.